ELI5: How Does A Database Handle 1B Users? — It was interesting to see a popular question on database scaling on Reddit’s ‘Explain Like I’m 5’ sub-Reddit this week. Diagnose query latency with Datadog — To get to the bottom of database performance issues, you need high-resolution data from all your systems. 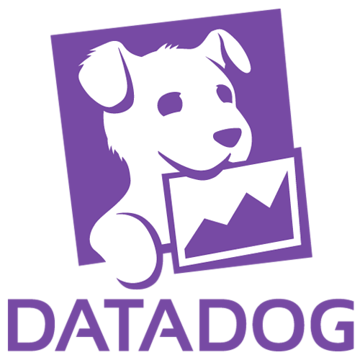 See metrics from all your database instances, client applications, load balancers, and more with Datadog. Postgres 10 vs. TimescaleDB for Time-Series Data — PostgreSQL 10 promises an easier partitioning mechanism to help scale for big data. But how does that compare to TimescaleDB for time-series workloads? Amazon Aurora Now with PostgreSQL Compatibility — AWS Aurora which helps you grow beyond the 6TB limit of RDS is now generally available for Postgres on top of RDS. How to Dump Google Analytics for SQL in 3 Hours — A look at using cloud services to track requests to a tracking pixel and then using BigQuery to analyze the results. Open-Source ML Server 'PredictionIO' Gets Apache Promotion — Apache PredictionIO, an open source machine learning server and toolset, is now a ‘top level’ Apache project. Postgres Domain Integrity In Depth — An extensive write up about ways to keep your data ‘squeaky clean’ by way of integrity constraints. There’s a lot to learn from here. World-Class Data Engineering with Amazon Redshift — Join us on Nov 17 in San Francisco for 2.5 hours private training. Get $100 off with the code “DBWEEKLY”. SQLite 3.21.0 Released — Mostly tweaks, fixes, and optimizations. Real-Time Databases Explained: Why Meteor, RethinkDB, Parse and Firebase Don't Scale — There’s an article covering the same ground. The Best Bits of Postgres 10 for Developers — A brief overview of some favourite developer-focused features in Postgres 10. Hyrise: An In-Memory Hybrid Storage Engine — Further explanation.